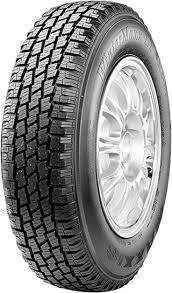 MAW2 tyres are specifically designed for winter weather and can deal with the extreme conditions with ease. The tread patter and compound design have been designed and produced for the winter months and the colder, trickier conditions that can be found. From dry to wet and snowy to icy roads, the MAW2 tyres are a great choice that will keep you safe and in control on every journey, so don’t miss out on your chance to choose these great Maxxis options. MAW2 tyres are specifically designed for winter weather and can deal with the extreme conditions with ease. The tread patter and compound design have been designed and produced for the winter months and the colder, trickier conditions that can be found.From dry to wet and snowy to icy roads, the MAW2 tyres are a great choice that will keep you safe and in control on every journey, so don’t miss out on your chance to choose these great Maxxis options.